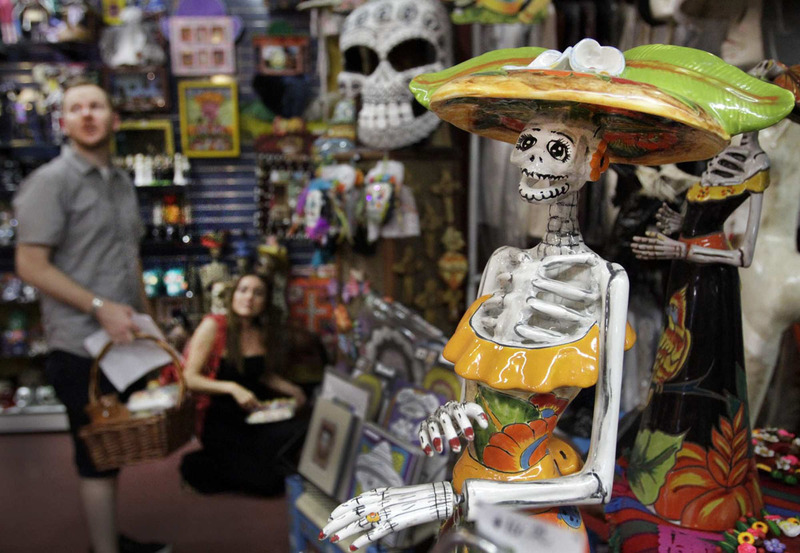 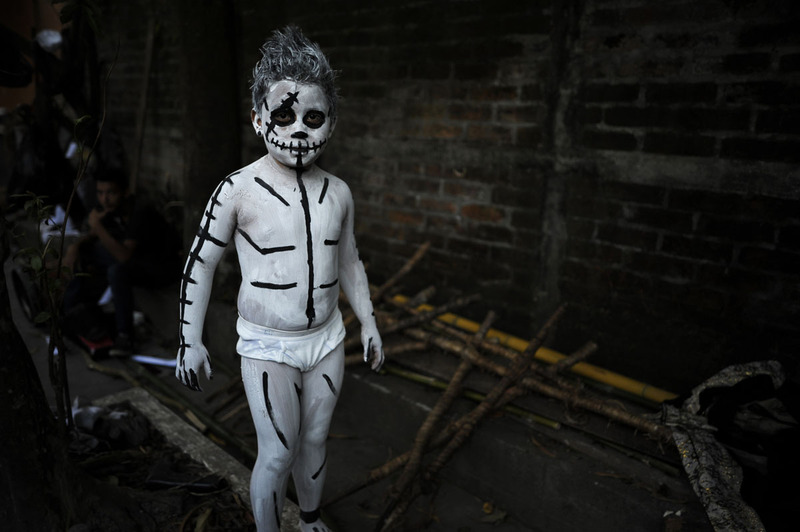 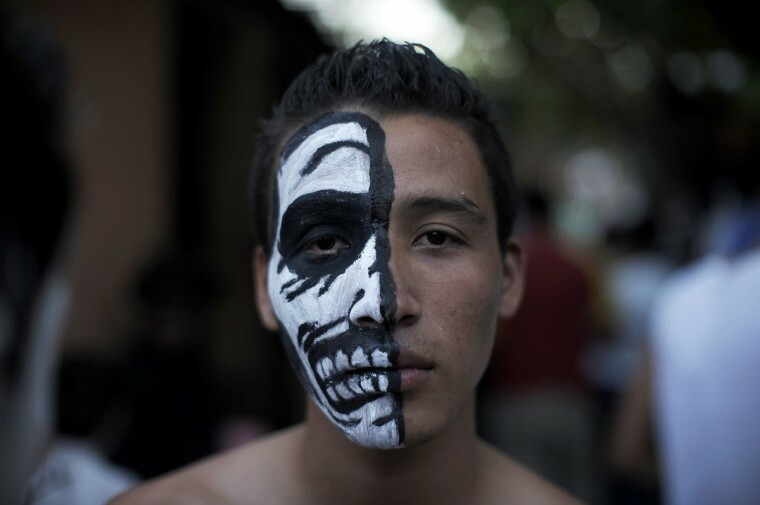 Flip through the images below and then read why the Day of the Dead is important to Lorenza Munoz and her family from the LA Times. 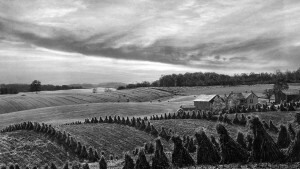 The holiday is not at all somber; it is raucous and defiant, loud and garish. 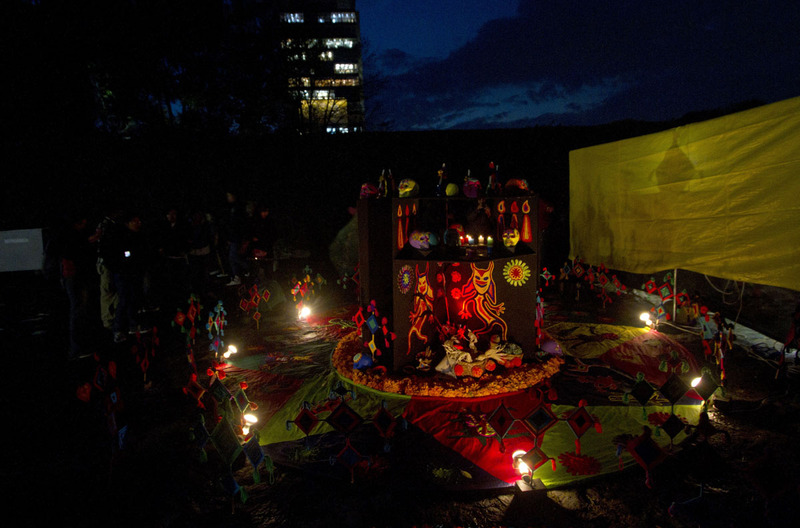 I didn’t plan to set up our annual Day of the Dead altar this year — too much work, I thought. 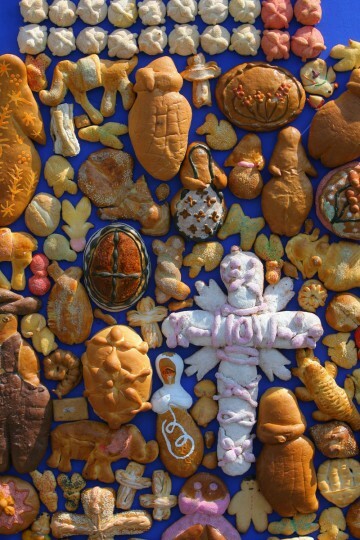 That is, until my daughter called me on it. 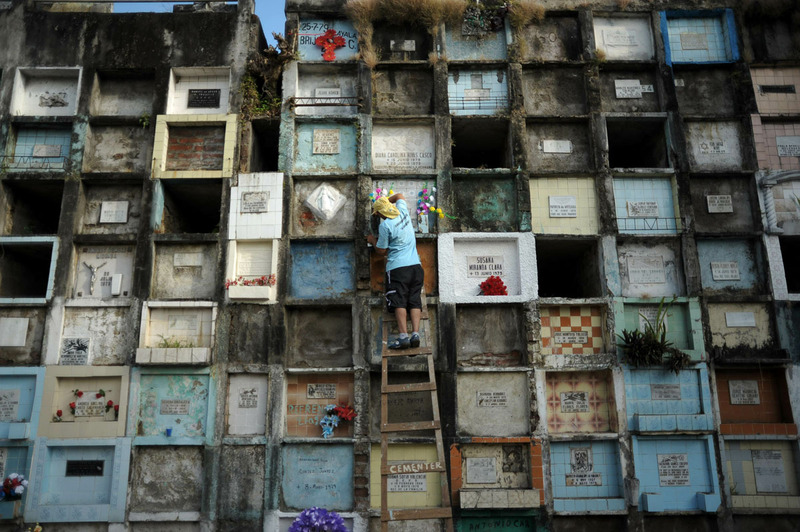 Perhaps “putting up dead relatives” sounds a bit morbid. 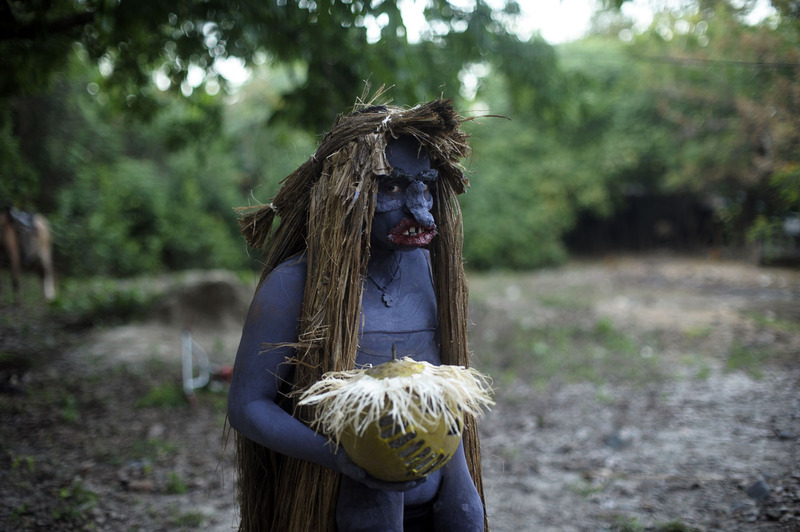 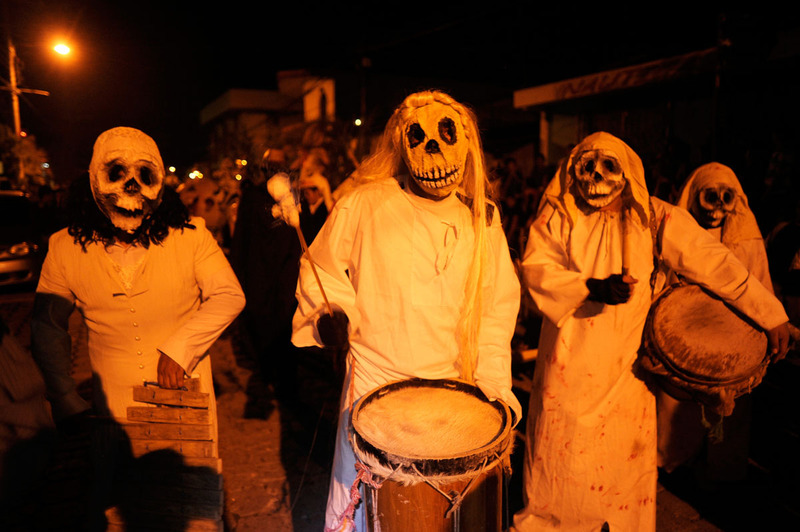 Perhaps the dancing calacas and catarinas (male and female skeletons, smiling and dressed up in their best outfits) that are a prerequisite for the holiday give the afterlife an unaccustomed vibrancy. 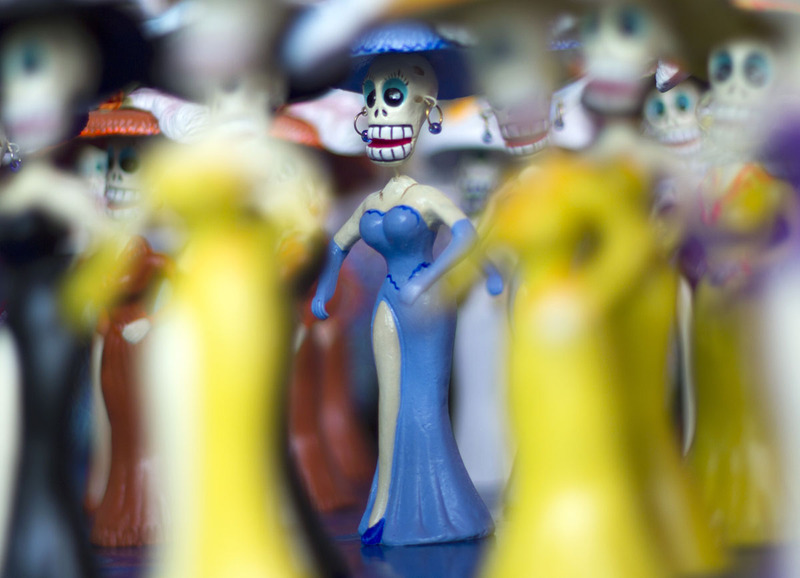 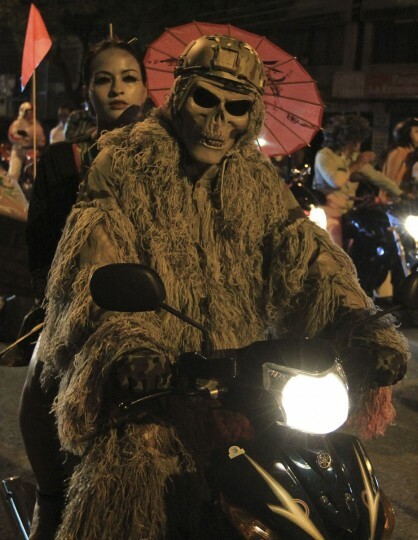 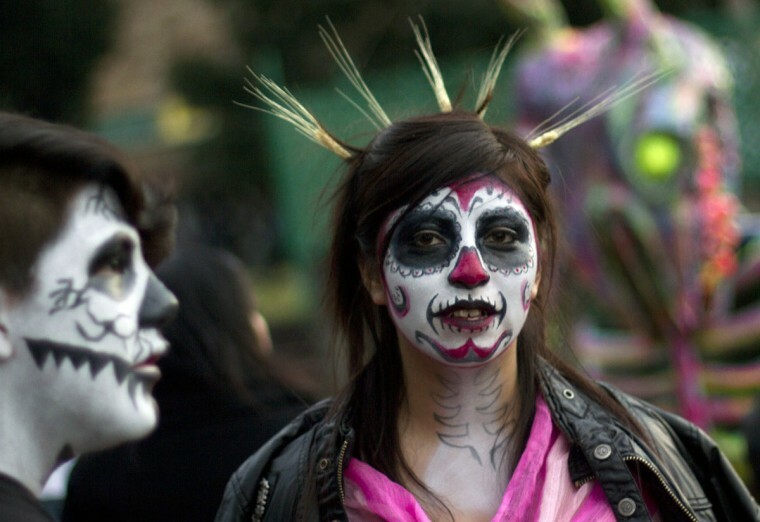 One could be forgiven for thinking the Day of the Dead is wacky and a little creepy. 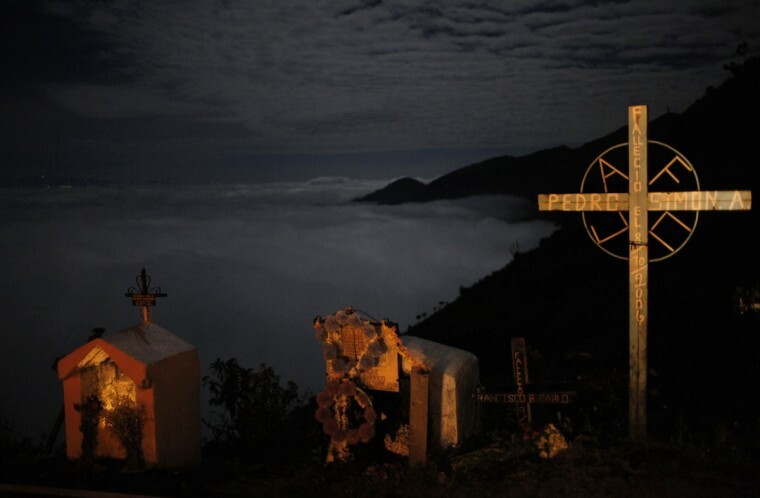 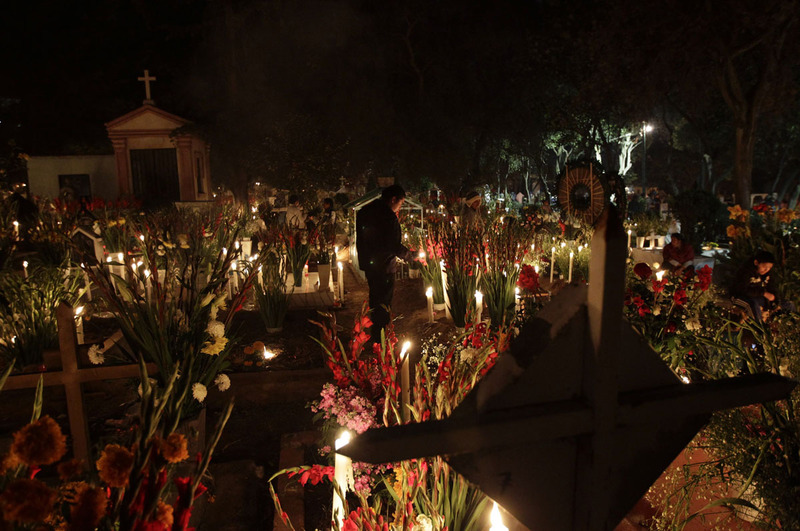 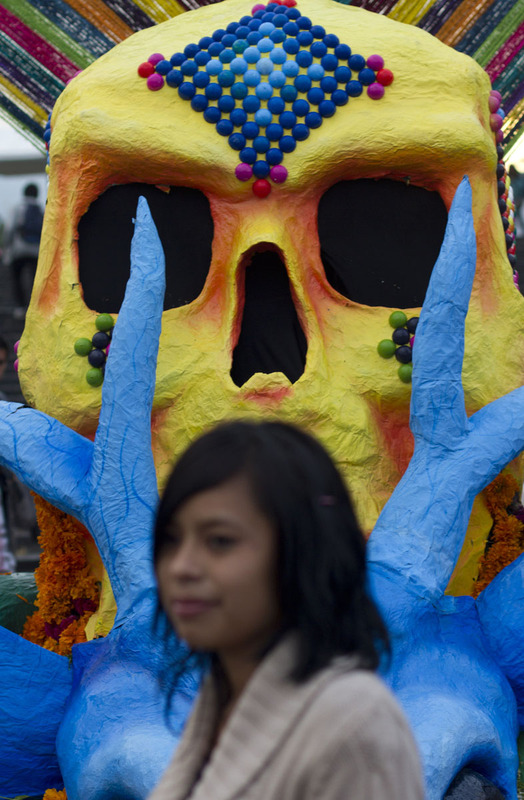 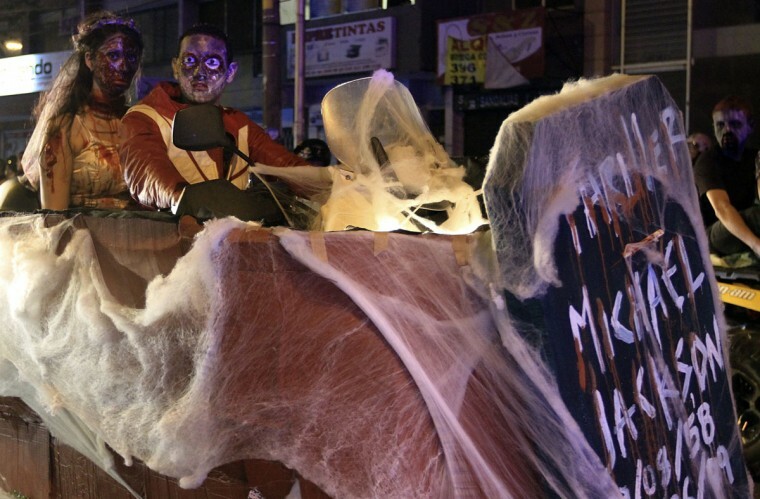 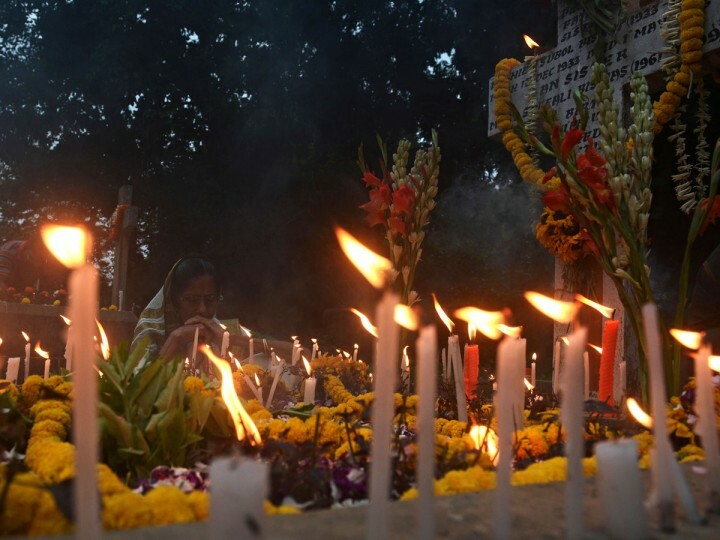 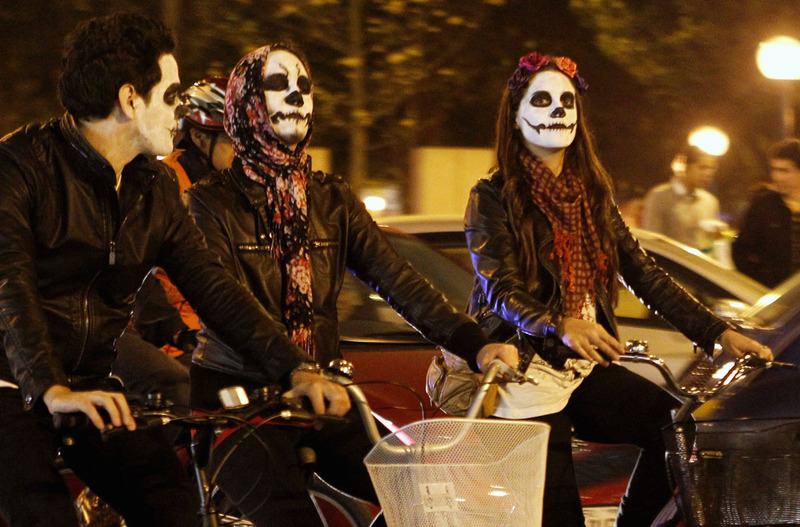 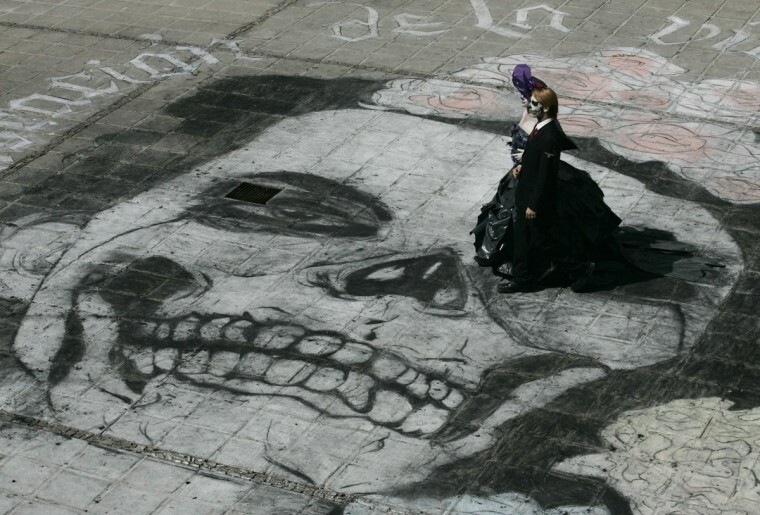 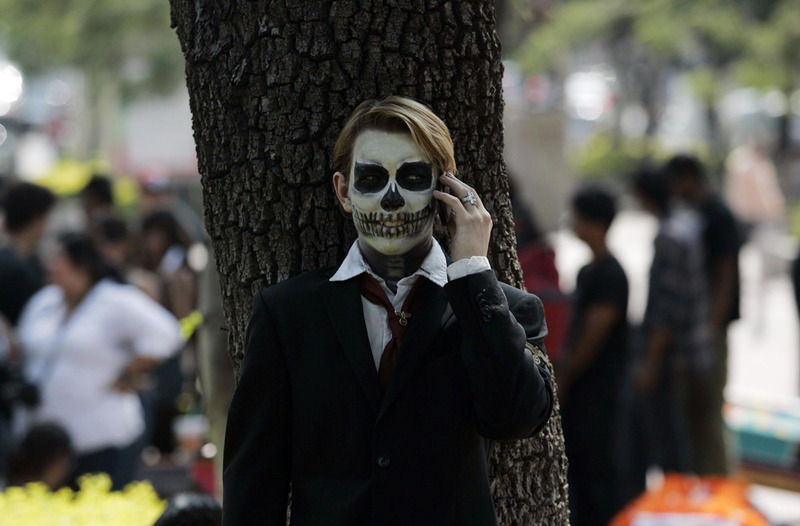 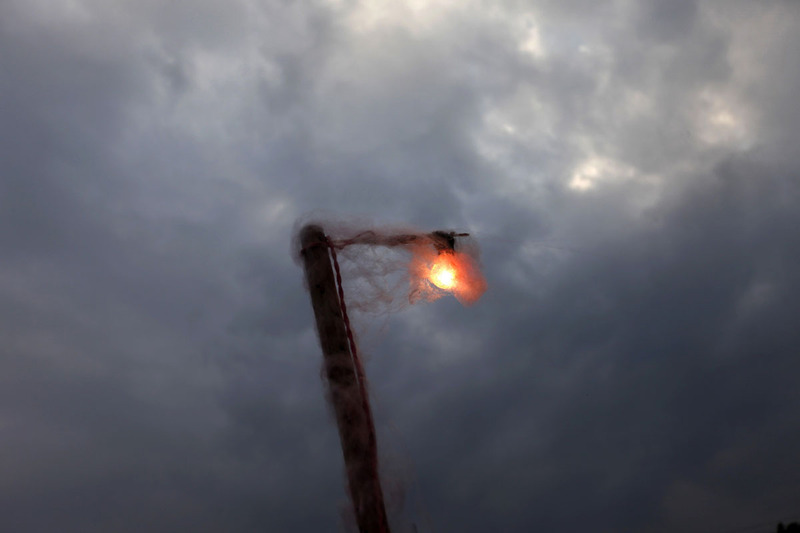 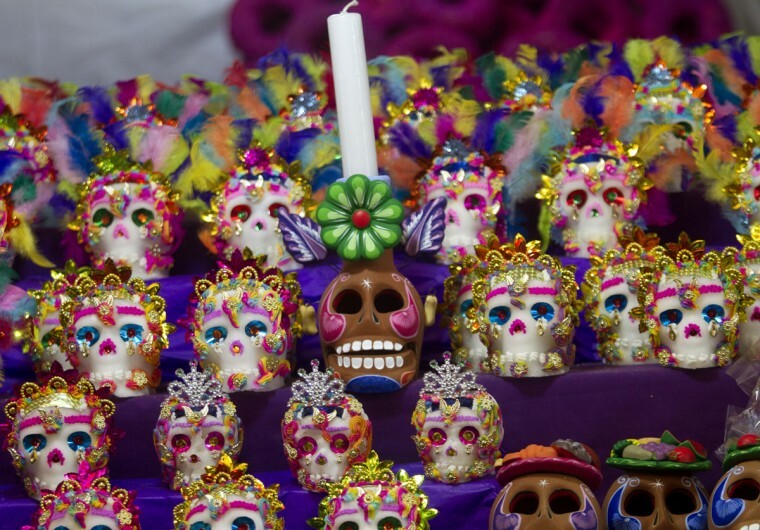 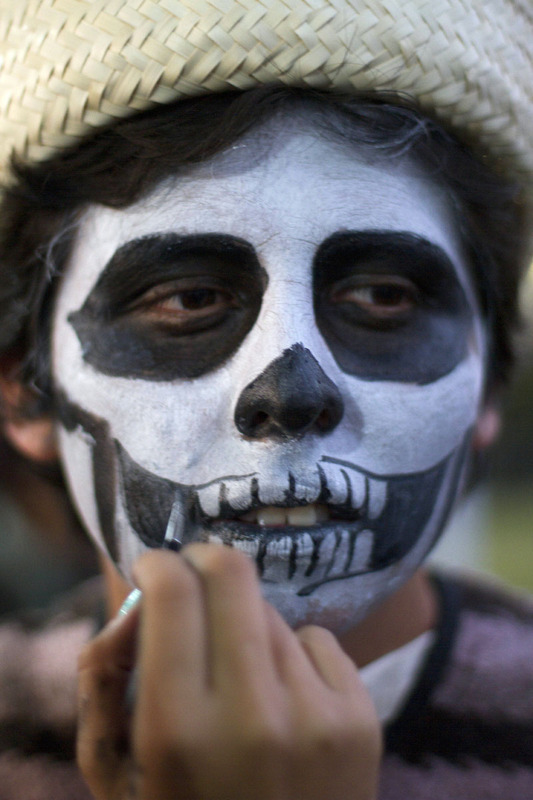 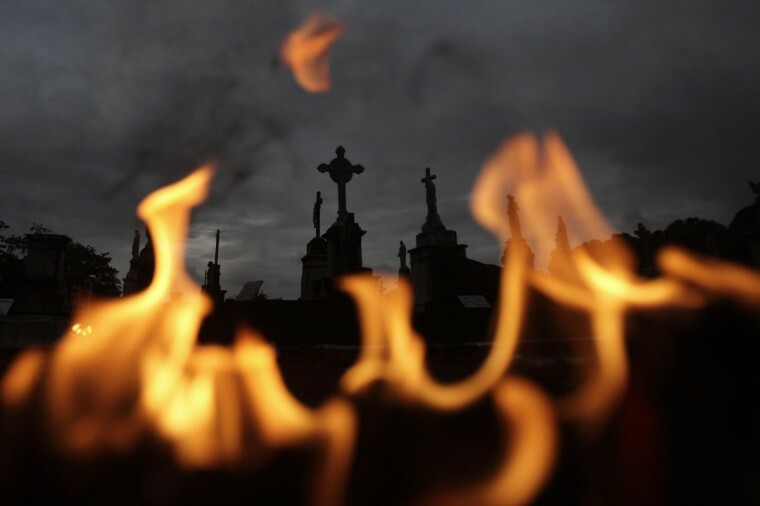 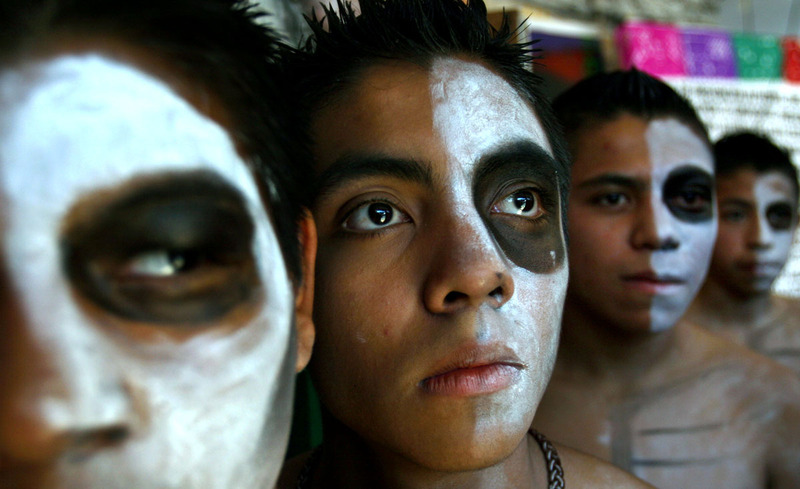 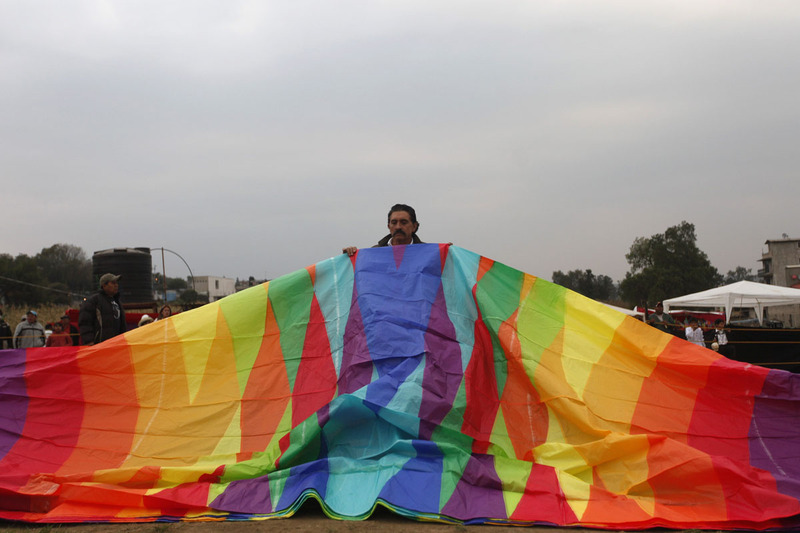 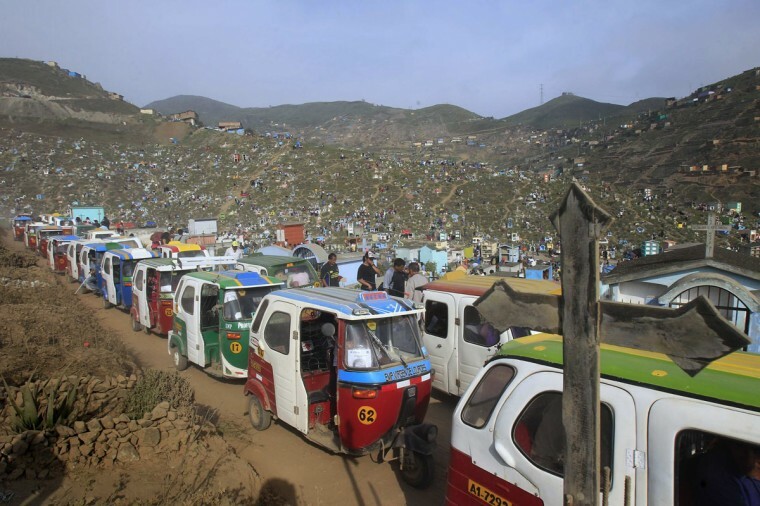 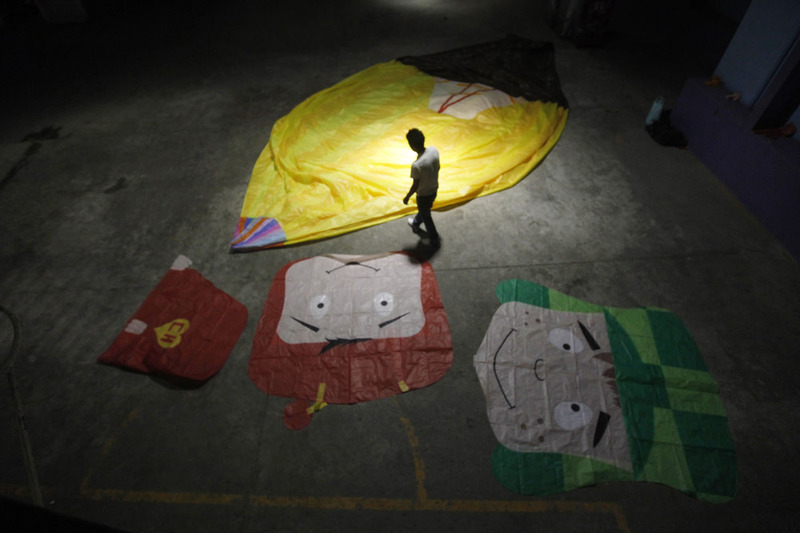 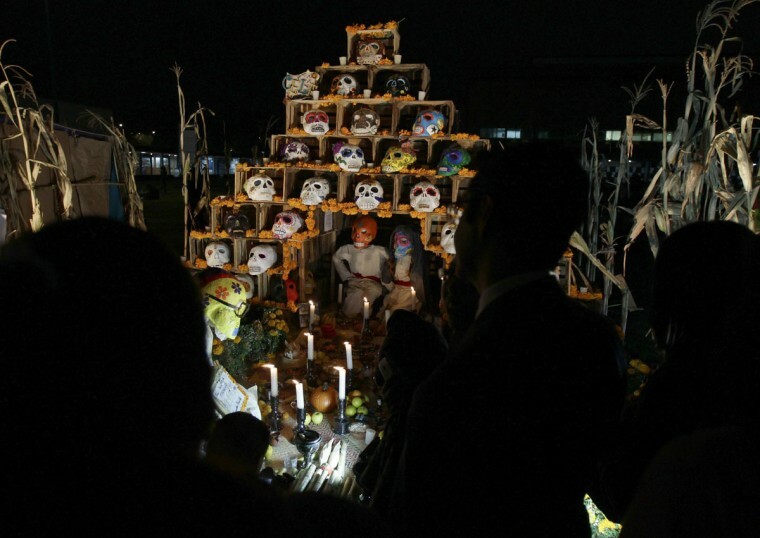 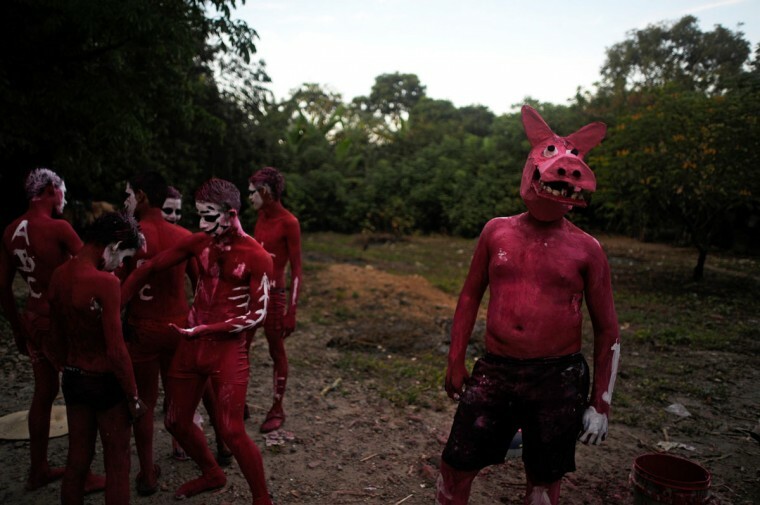 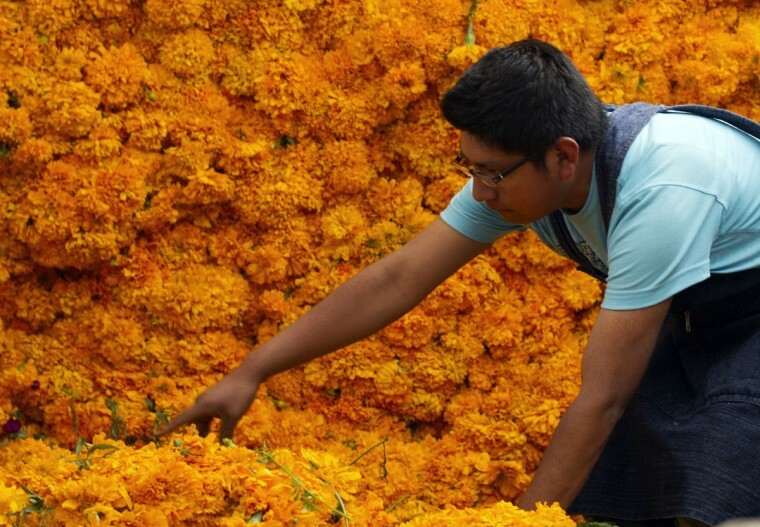 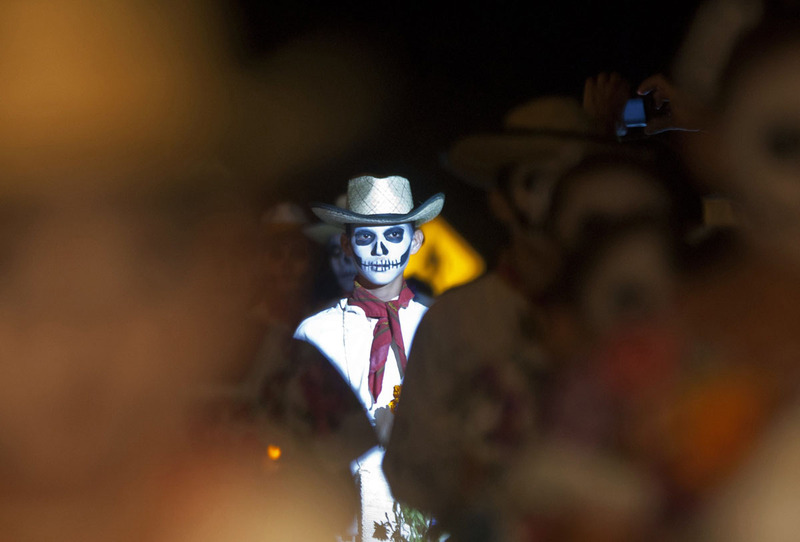 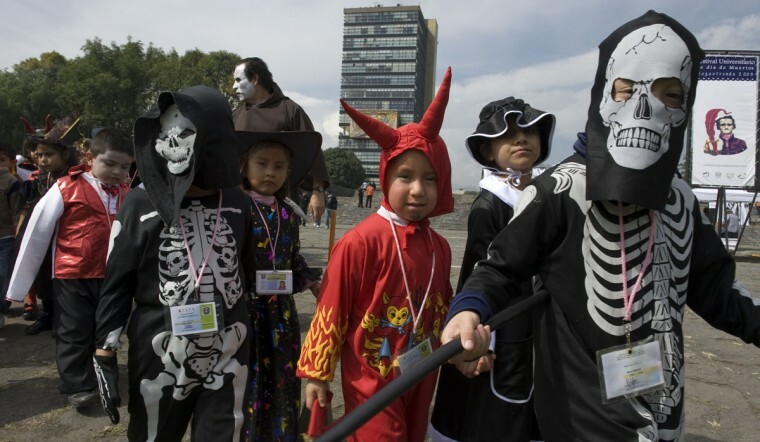 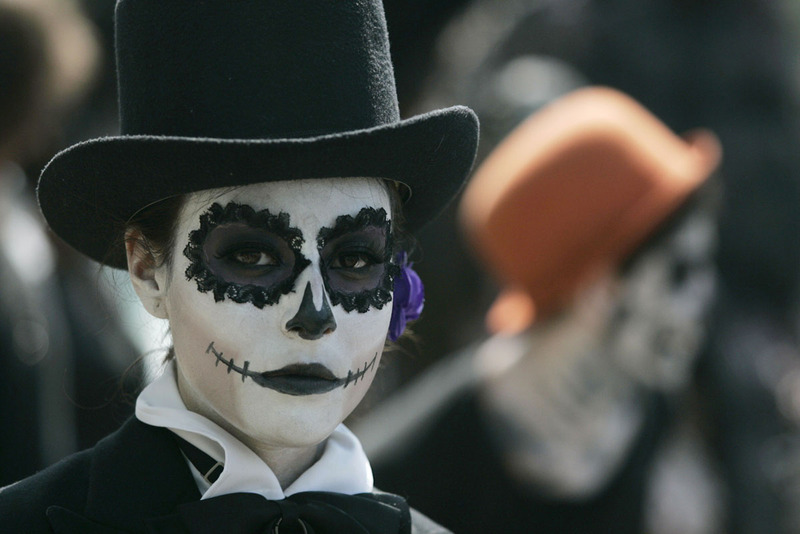 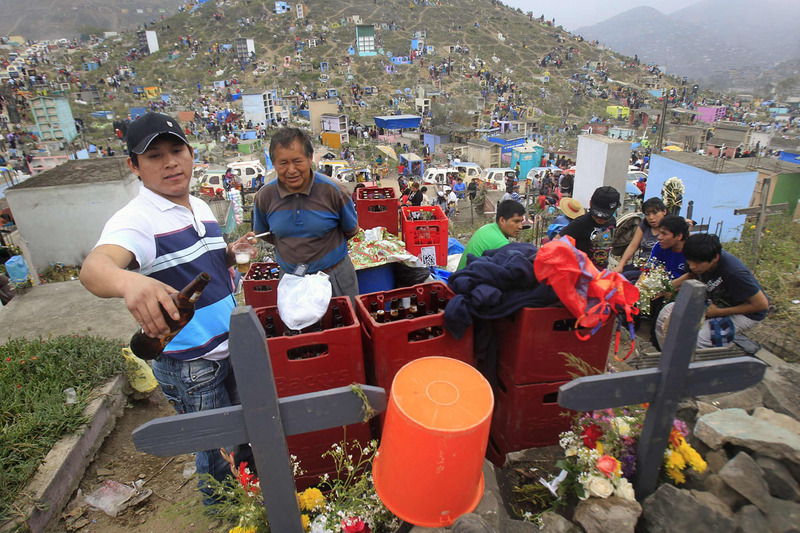 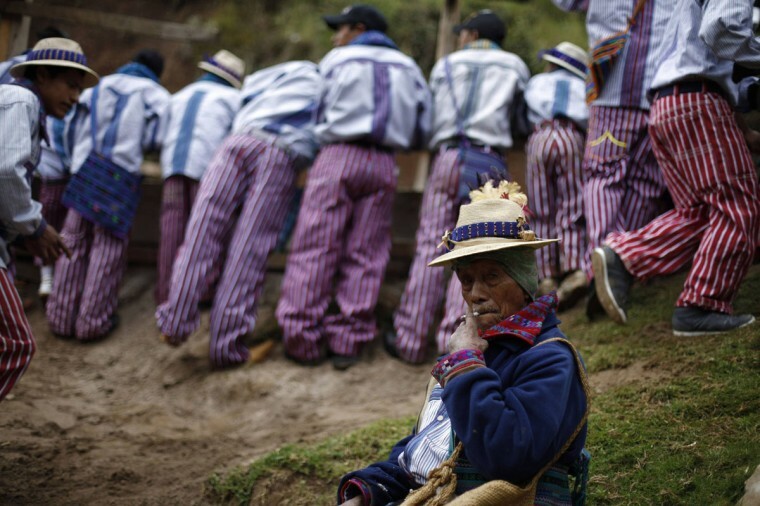 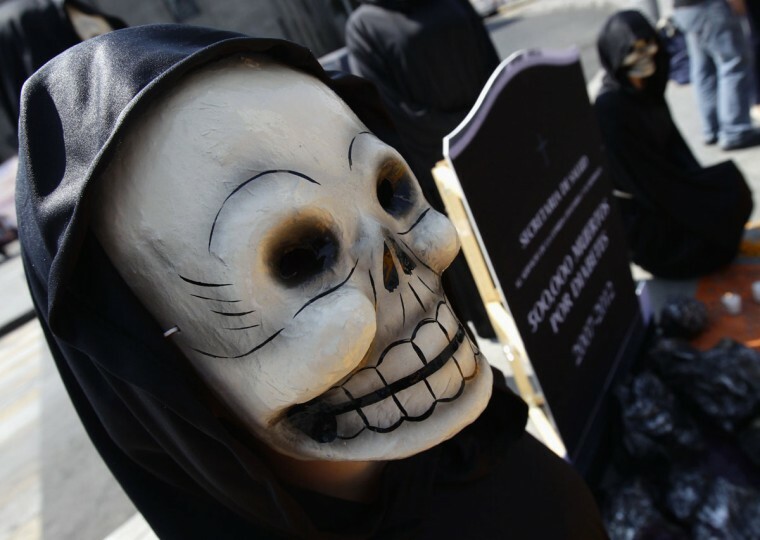 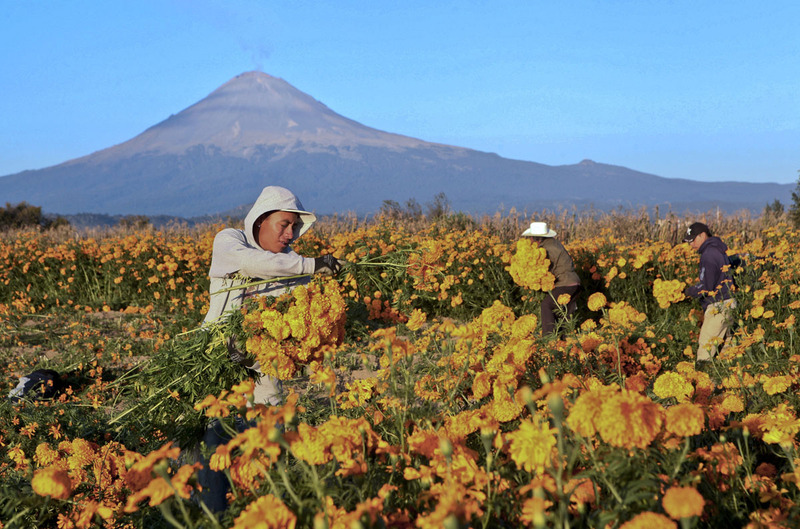 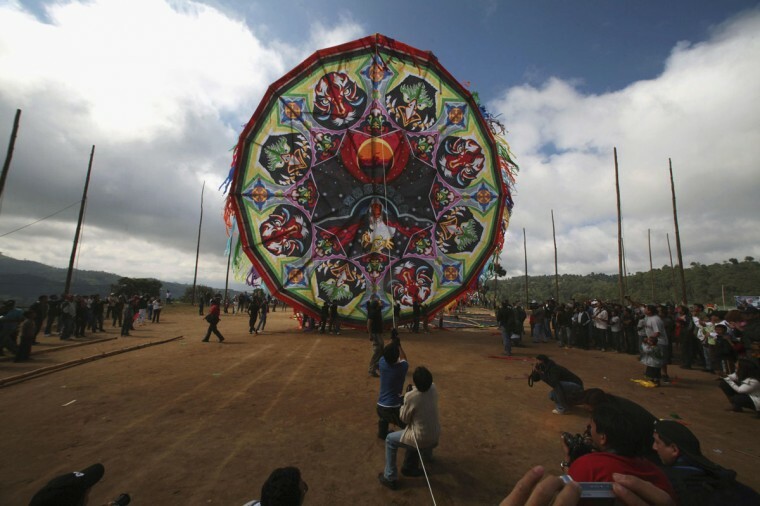 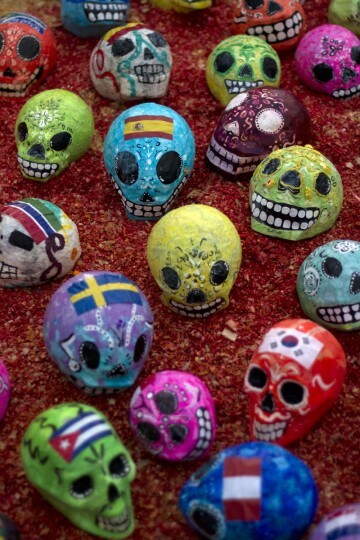 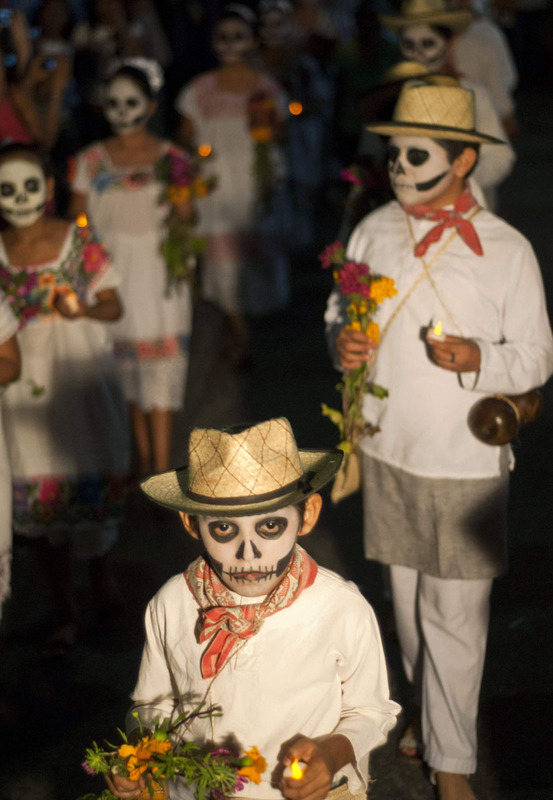 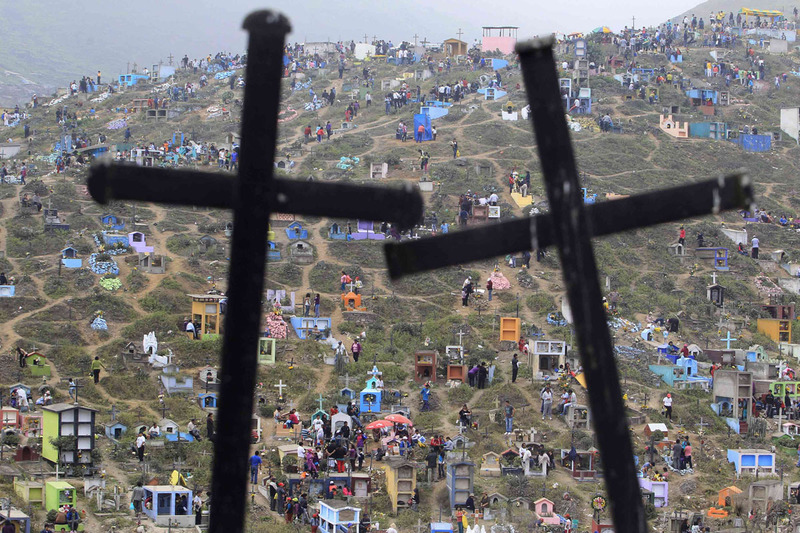 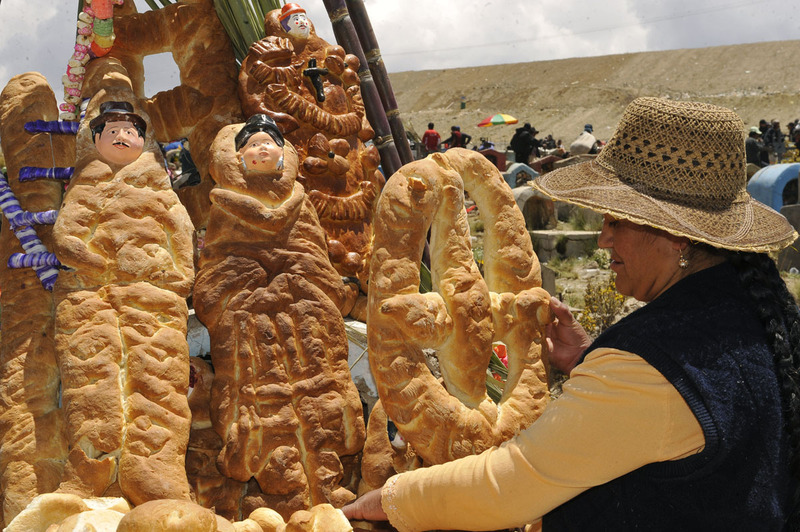 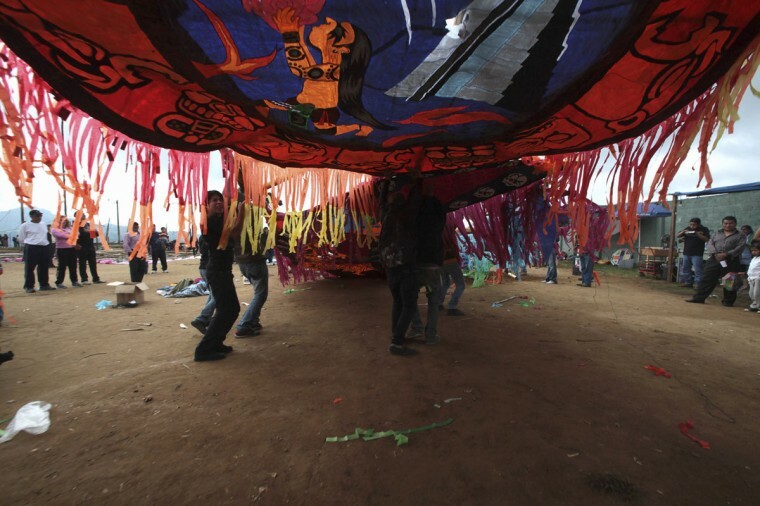 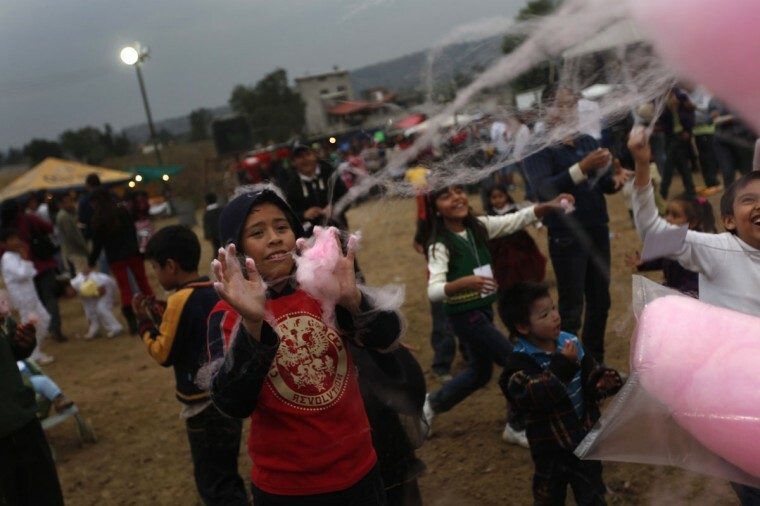 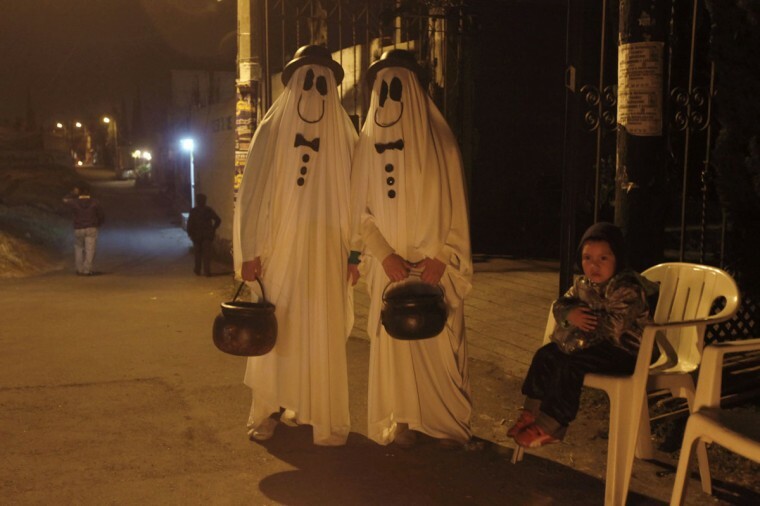 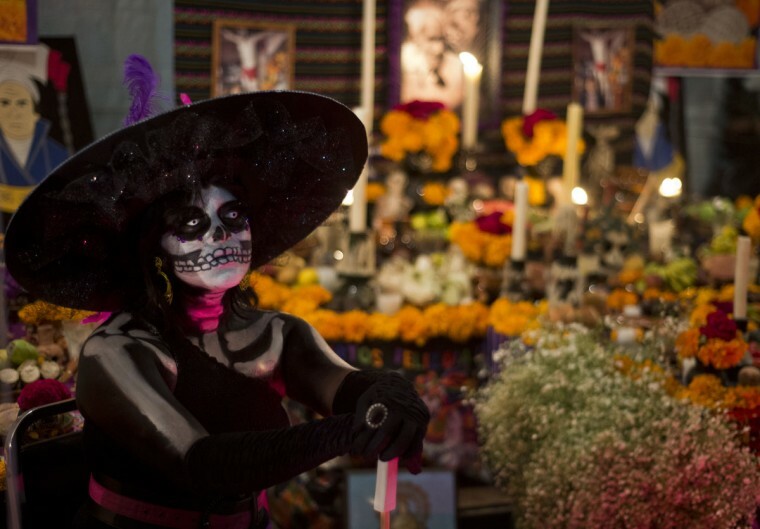 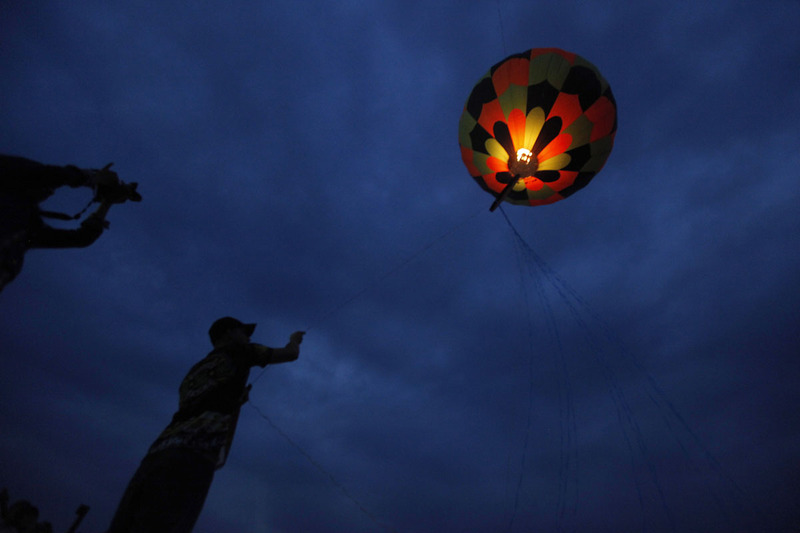 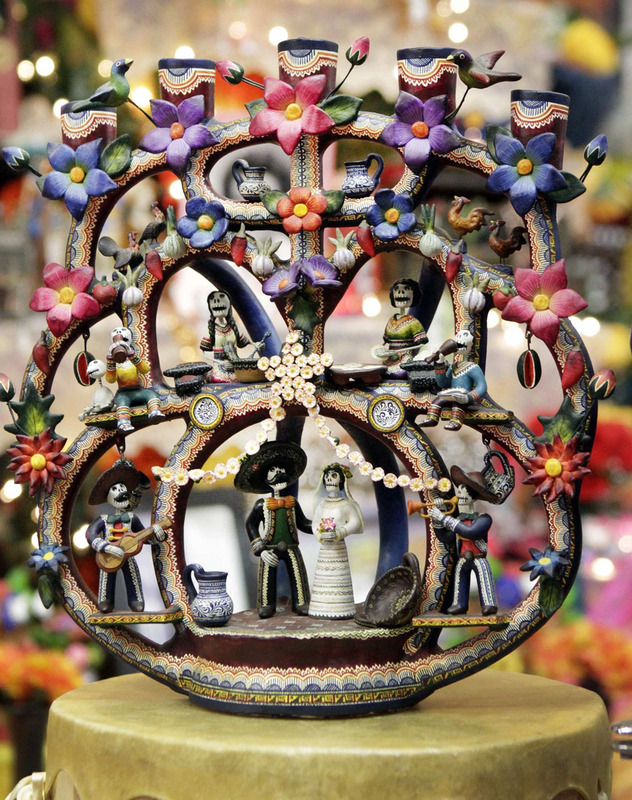 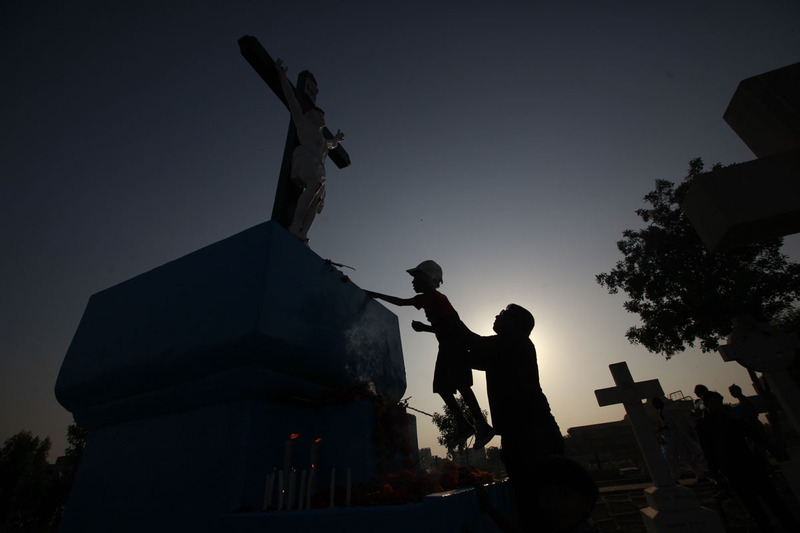 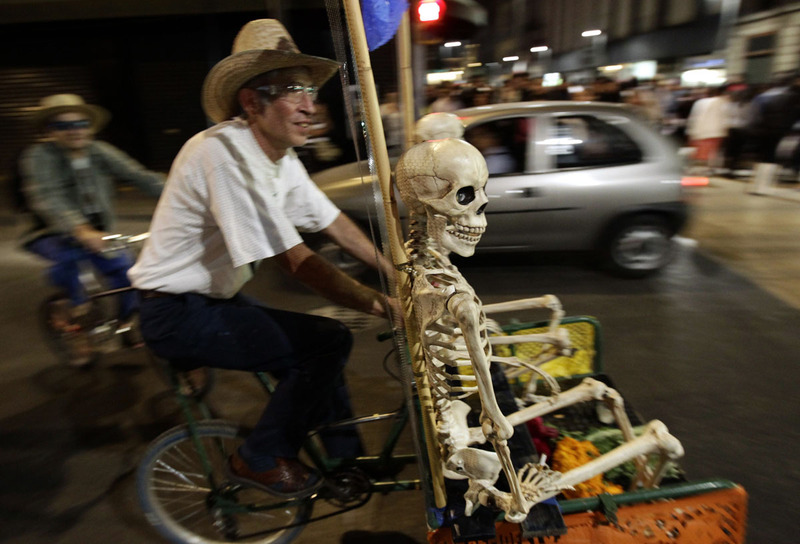 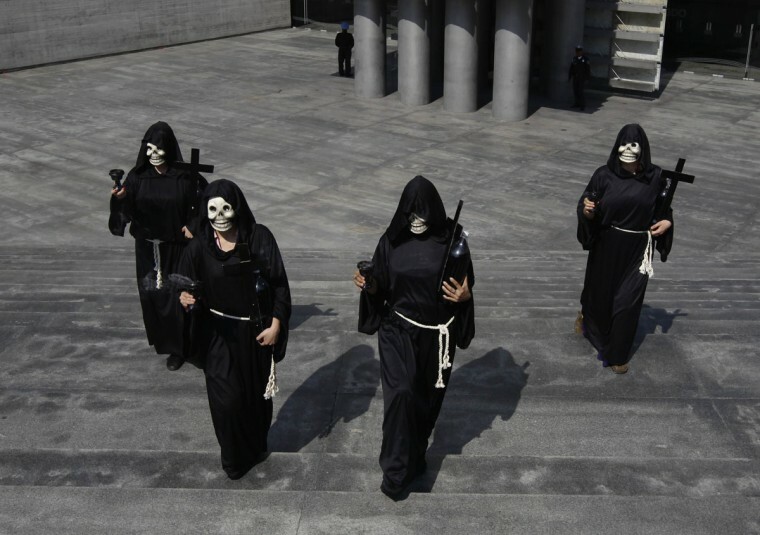 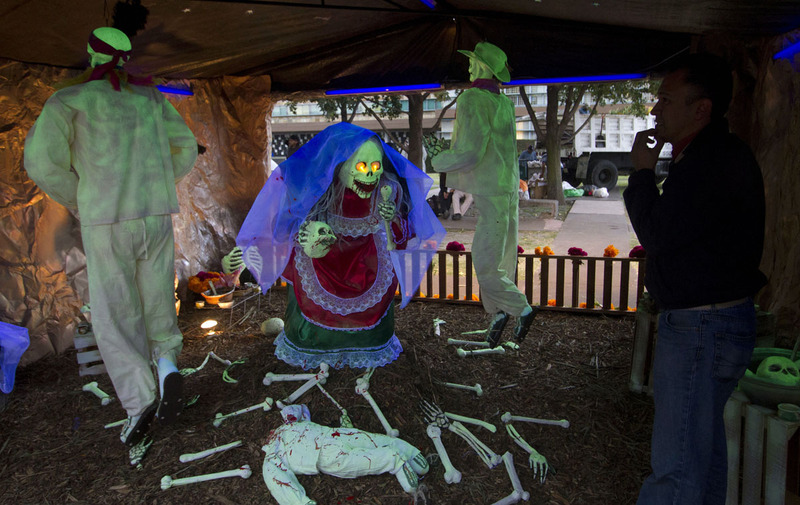 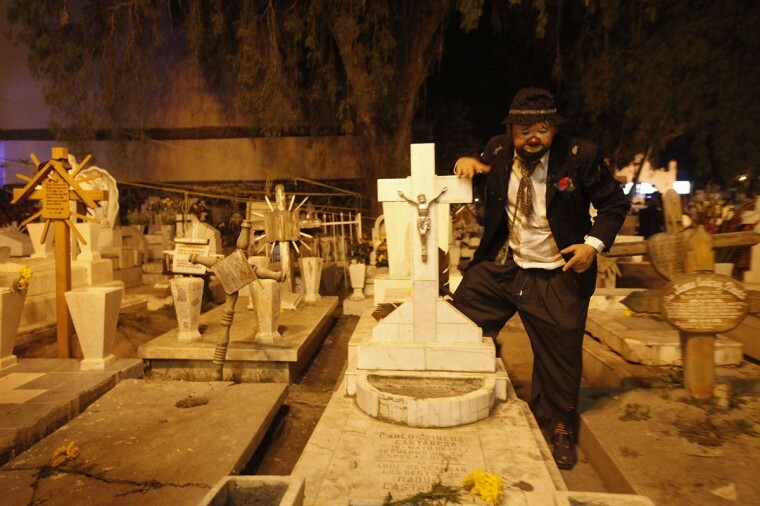 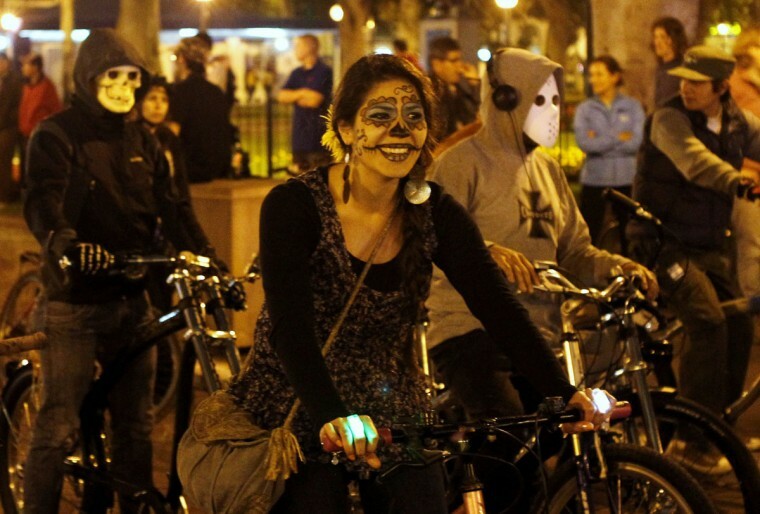 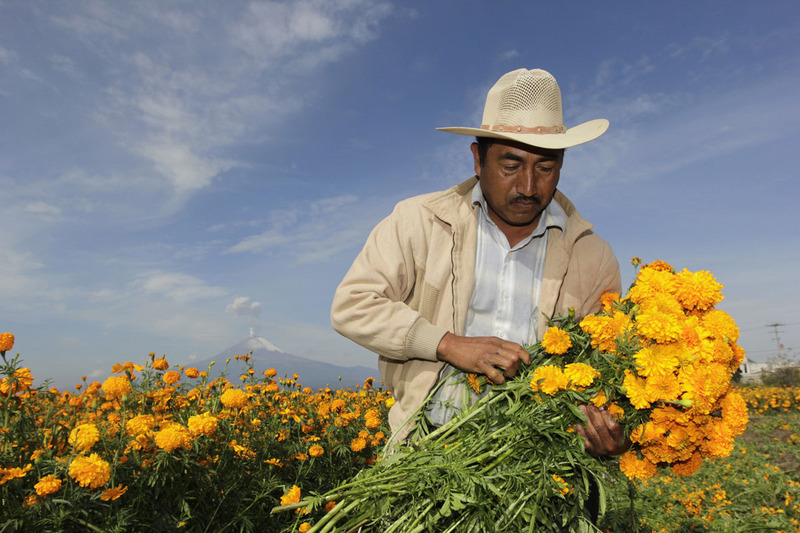 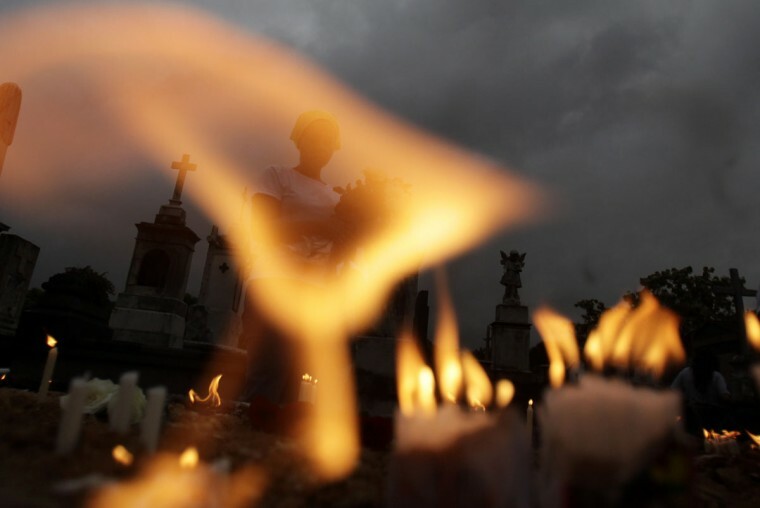 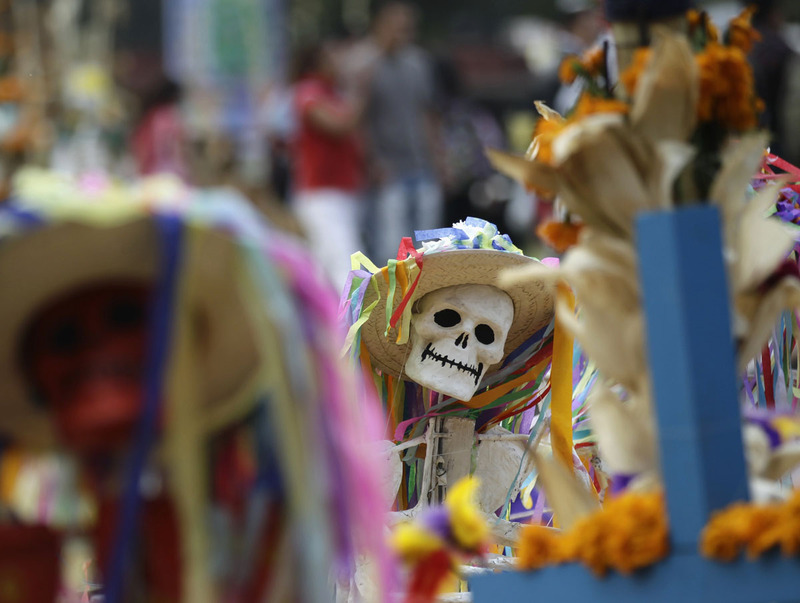 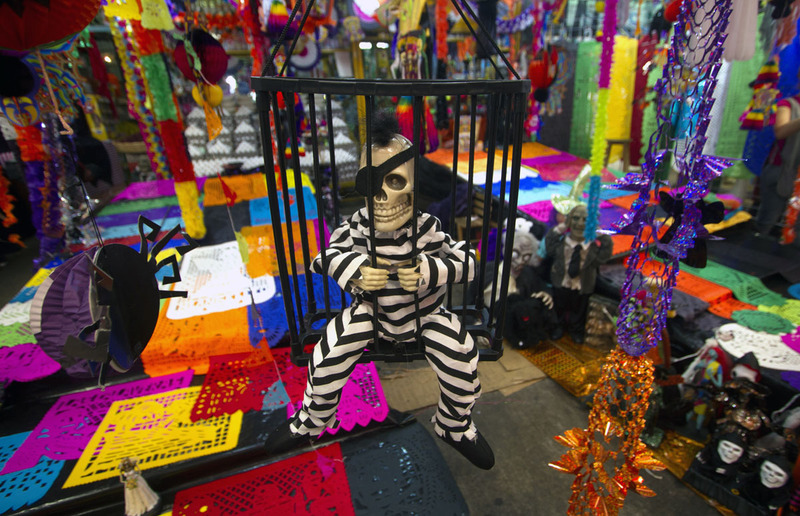 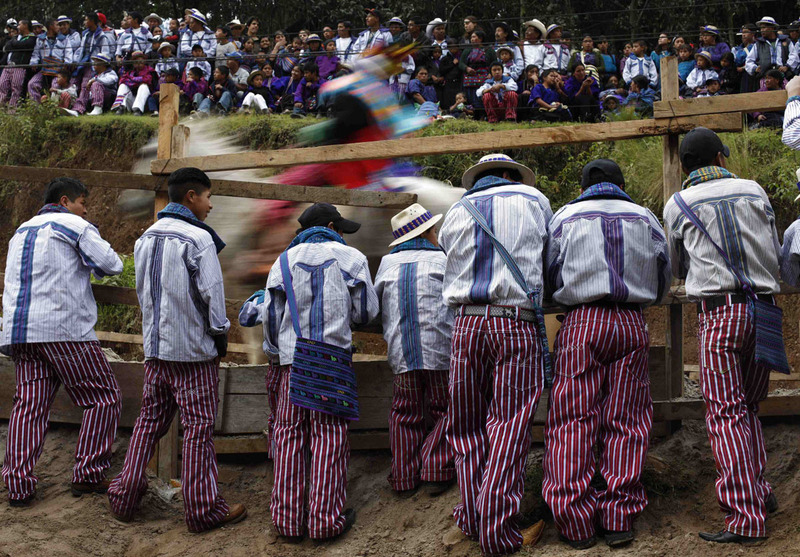 The Mexican way of celebrating All Saints Day, Nov. 1, is not at all somber. 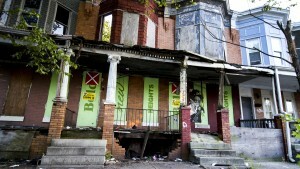 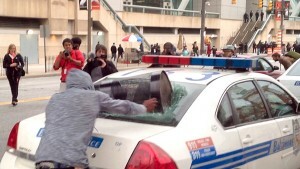 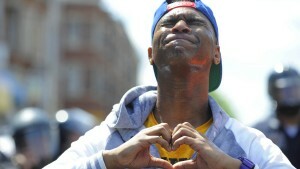 It does not carry the quiet reflection of other cultures that contemplate the death of loved ones. 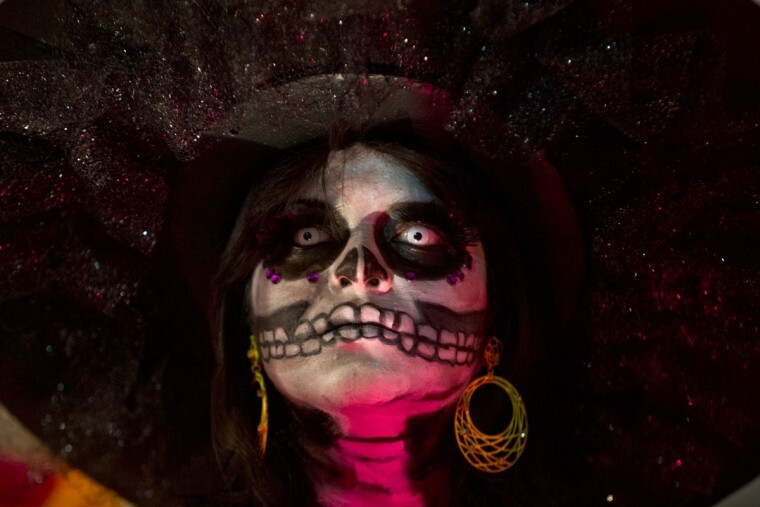 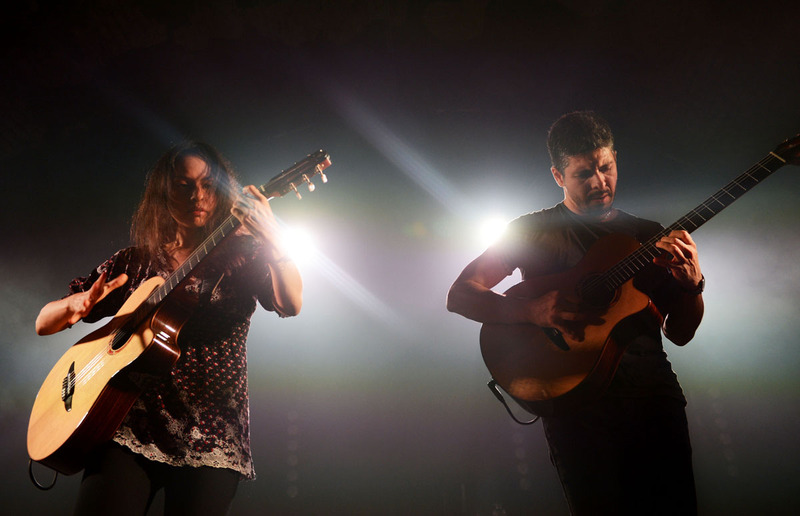 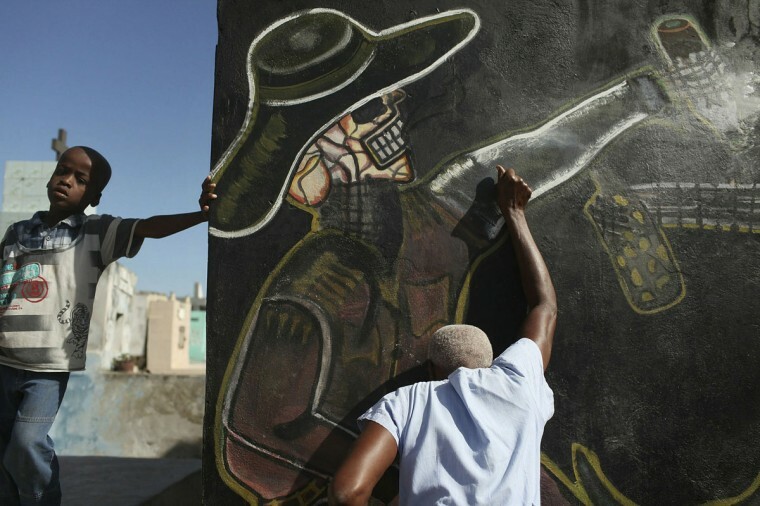 It is raucous and defiant, observed by drinking tequila, eating mole and tamales, gorging on sugar skulls and pan de muertos. It is loud and garish, colored bright orange, pink and cobalt blue. 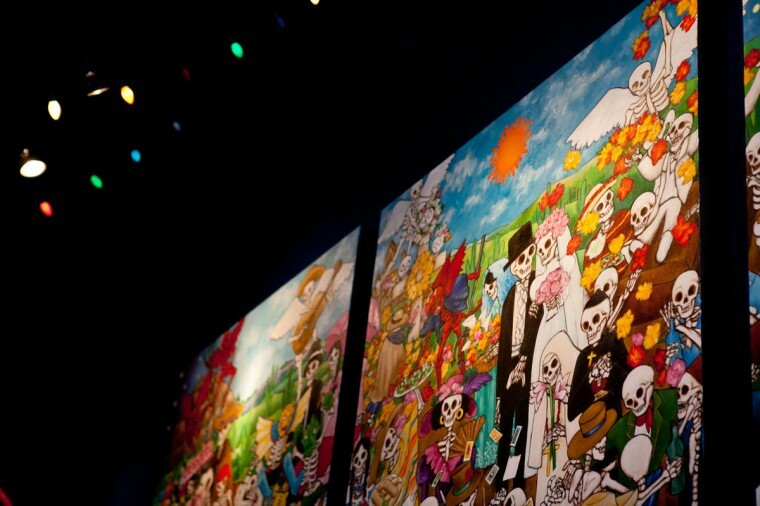 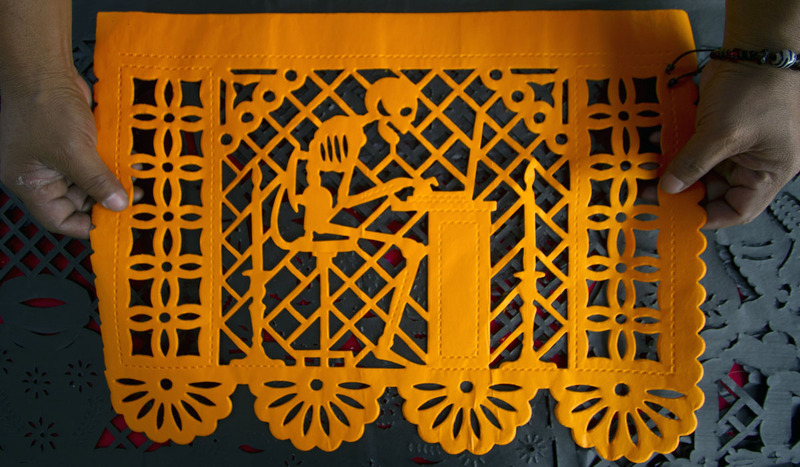 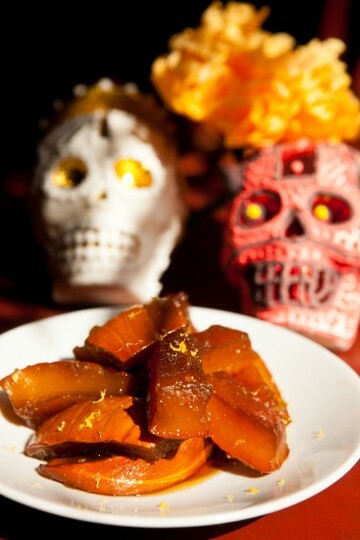 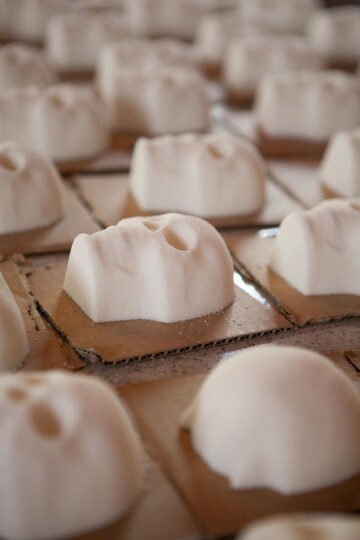 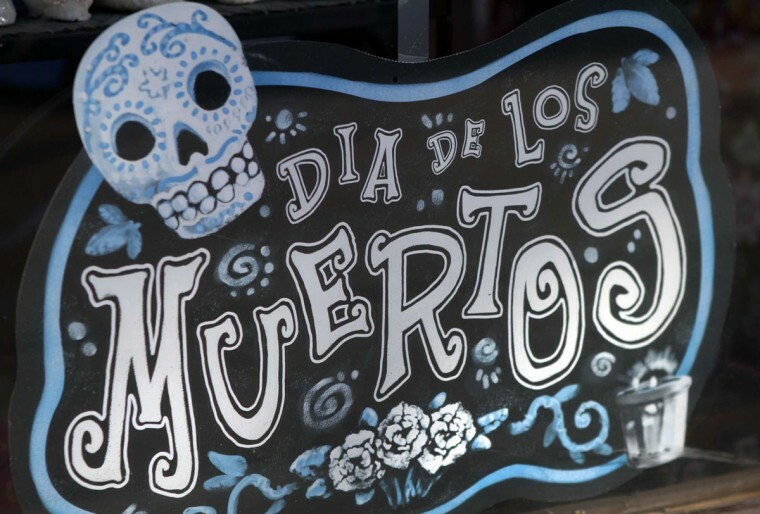 DIA DE LOS MUERTOS is a well known day that is celebrated for love ones that are gone. 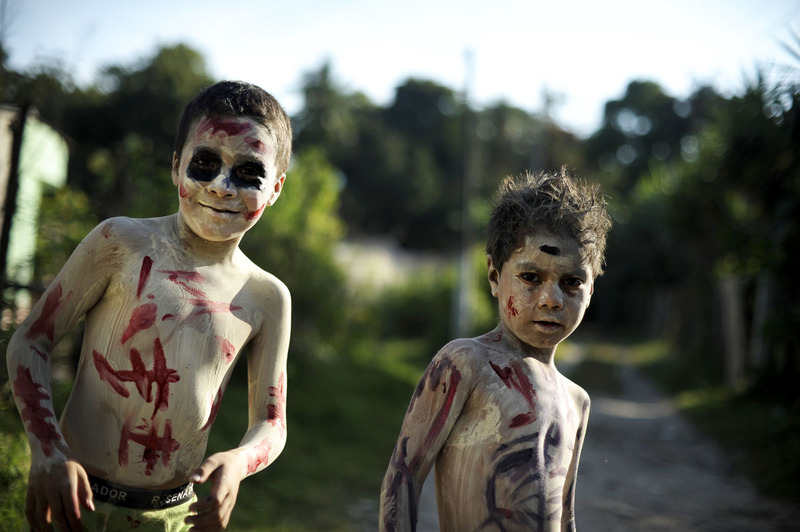 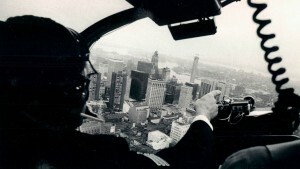 I have to admit some of the pictures are a bit creepy but also very cool. 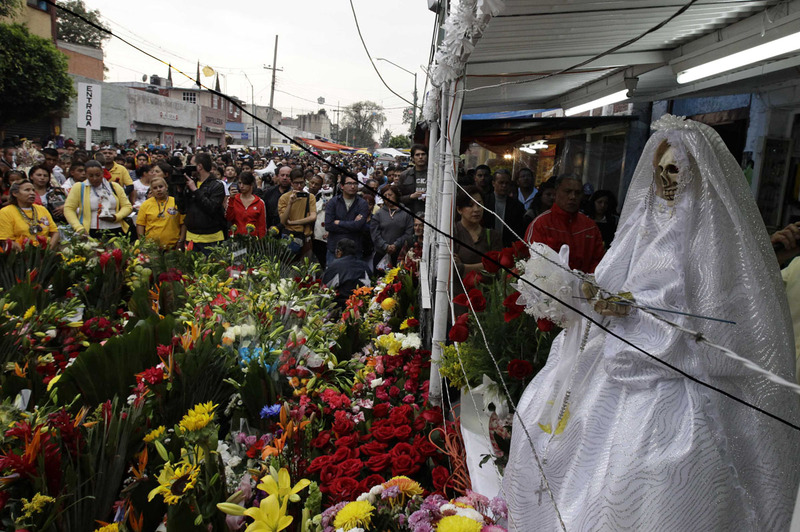 I love how there are so many people that are loved out there that their families worship them with offerings and celebrate their lives. 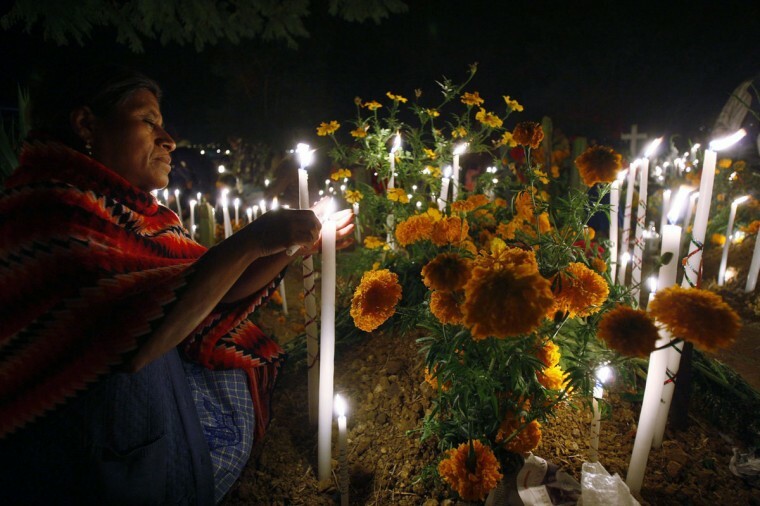 I hope DIA DE LOS MUERTOS would never be forgotten. 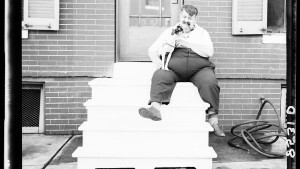 The holy dead - Hot Dogma!